The headphones that revolutionized an industry are set to do it again – wirelessly. Bose announced the QuietComfort 35 around-ear headphones and the QuietControl 30 in-ear headphones, both shattering the limitations of existing wireless noise cancelling headphones with an entirely new experience for traveling, commuting, creating, studying, or relaxing. The QC35 lets you tune out completely with the same remarkable silence of Bose’s wired QuietComfort headphones. And the QC30 adds something new – a breakthrough feature that puts noise control in your hands, letting you adjust how much surrounding sound you block out or let in. Against a backdrop of quiet, the new QC35 and QC30 reproduce music with stunning clarity at any volume. The QC35 is available beginning June 5, 2016 for $349.95; the QC30 will be available beginning September 2016 for $299.95. Bose also announces the all-new SoundSport and SoundSport Pulse headphones, each resetting expectations for wireless workouts. Designed exclusively for exercise, SoundSport wireless headphones present an unbeatable combination of benefits for training. They feature great audio for playlists, a stable and comfortable fit, and durability for daily use inside or out. For tracking personal performance, SoundSport Pulse wireless headphones come with a built-in heart rate monitor measured through the ear for a precise, accurate reading. The SoundSport headphones hit the market beginning June 5, 2016 for $149.95; the SoundSport Pulse is available beginning September 2016 for $199.95. 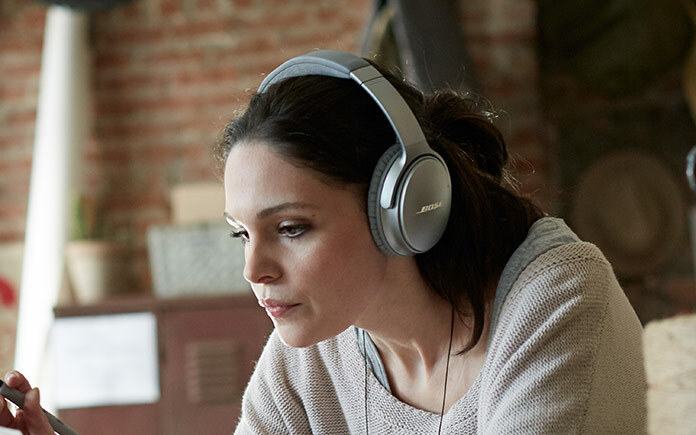 All of Bose’s new wireless headphones include NFC for touch-to-pair convenience, super-intuitive controls for music and calls, voice prompts for key information including setup, caller ID and battery life, and the free Bose Connect app for even more functionality. 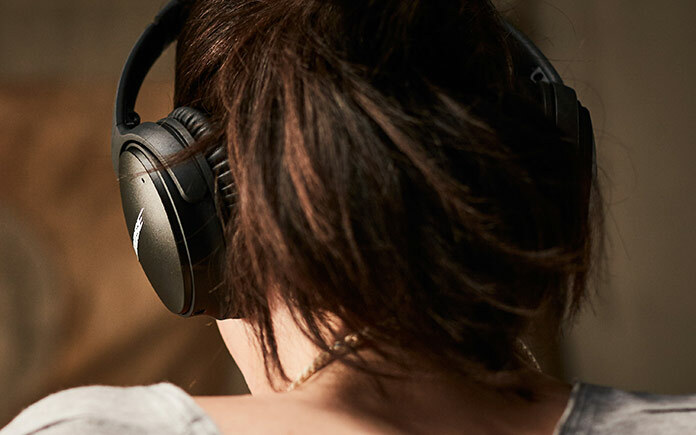 We live in an increasingly noisy world, and the new QC35 around-ear headphones offer the best noise cancellation available anywhere – from a wired or wireless headphone – and a custom-engineered Bluetooth system for a strong and consistent connection anywhere. With microphones inside and outside the earcups, the QC35 senses, measures and sends unwanted sounds to two proprietary digital electronic chips — one for each ear — which respond with a precise, equal and opposite signal in less than a fraction of a millisecond. The result is dramatic and exclusive to Bose. In an instant, the rumble of a subway car, plane engine, or the commotion from rush hour all but disappear. Stay in silence, or hear your music more clearly with a new EQ that balances sound at every volume, for any genre. The QC35 has up to 20 hours of battery life from a rechargeable lithium-ion battery, lasting longer than a flight from New York to Hong Kong. Simple buttons are on the right earcup: on/off, music volume, play/pause, and answer/end calls. While the QC35 is packed with proprietary technology for performance, the finer details of materials, build and finish are equally precise. 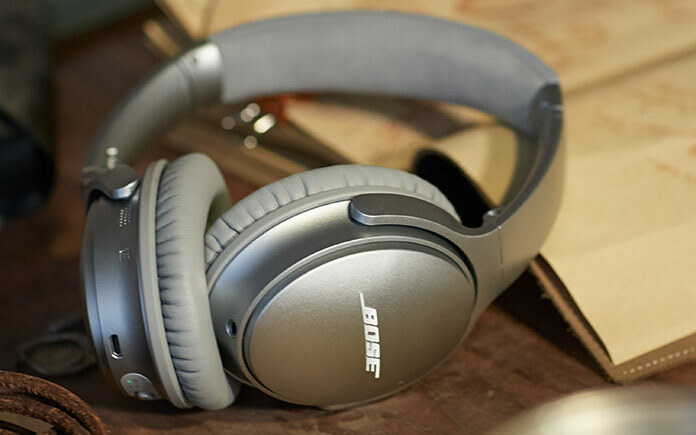 They’re refined yet rugged, lightweight yet stable, with legendary Bose comfort. Our lives are getting more hectic with more to manage, and the QC30 headphone is a technical tour-de-force to make every day better. Its noise cancellation is so advanced for a wireless in-ear design, there’s nothing else like it in the industry. And they debut a new, robust Bluetooth system that works reliably in changing surroundings. 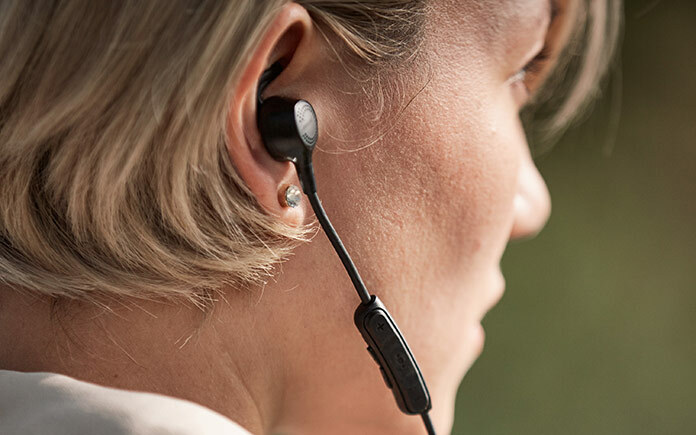 The QC30 headphones feature tiny earbuds that integrate a total of six microphones, and a sleek neckband that houses the rest of the advanced electronics system for take-anywhere performance. For wherever you are or whatever you’re doing, a new Bose breakthrough – controllable noise cancellation – puts you in charge of how much of the world you shut out. From needing awareness on a busy sidewalk, to complete isolation for work, to taking a call from home in a crowded cafe – the QC30 lets owners choose what they hear. Turn its noise cancellation up or down, not on or off, and it adapts to the level you set without changing your music volume. To hear every note from your favorite tracks and artists, the QC30 uses a new EQ customized for its size and design. With distractions on mute, a dime-size enclosure never sounded better. The QC30 has up to 10 hours of battery life from a rechargeable lithium-ion battery, lasting as long as a fully-charged phone or tablet. Simple buttons are on an in-line remote: music volume, play/pause, answer/end calls, and noise control. The QC30 features StayHear+ tips, the often-imitated-but-never-duplicated Bose innovation that eliminates the pressure and aches of conventional ear tips for hours and hours of wear.